If you hadn't noticed and as Sylvan Hershey pointed out on Monday, the announcement for our Lobster Dinner was listed in the May 2019 issue of The Rotarian magazine! Thanks to Secretary Alex Hayes for making this happen! 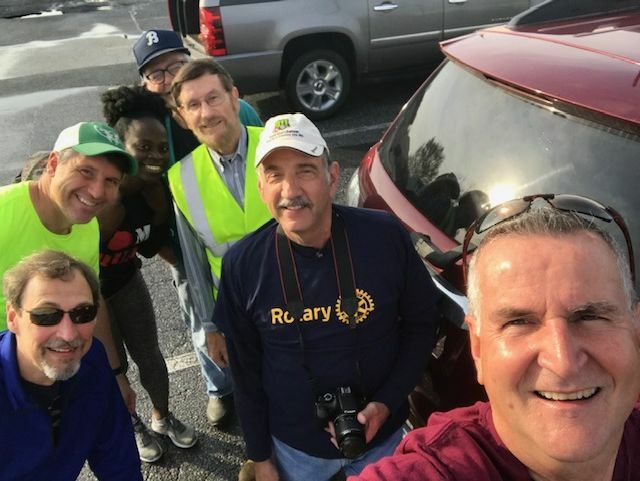 The Rotary Club of Gettysburg cleaned up litter along a two mile section of Rt 30 on Saturday, April 13. 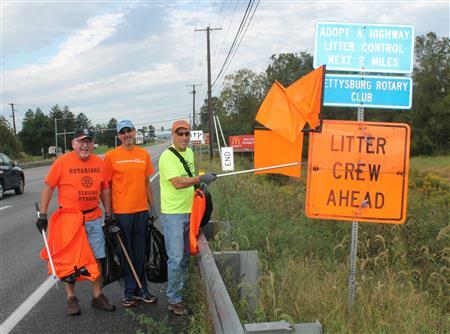 The club has been cleaning this section of roadway for over 20 years with two cleanup events held each year. Joining the Rotarians this time was Gettysburg College Senior Edith Tea. Edith is a native of the Ivory Coast and has been selected by the District for a two year District Global Grants Scholarship. She will be doing graduate work in environmental issues in the Netherlands. for more information and links to the application. Every year, the Rotary Club of Gettysburg donates dictionaries to third grade students in Gettysburg area schools. Rotarians Alex Hayes and Harry Hartman delivered the books to students at Saint Francis Xavier Roman Catholic School on Feb. 27. 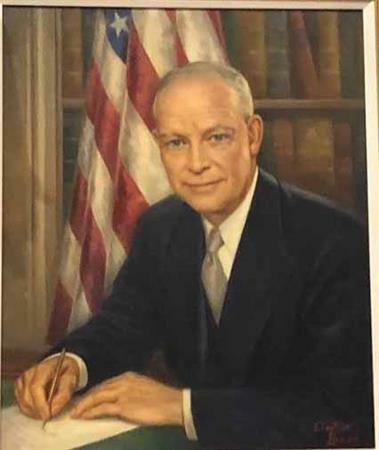 John Kramb, past District Governor of Rotary District 7390 and member of the Rotary Club of Gettysburg, appeared on WITF's Smart Talk Feb. 27, 2019 to discuss membership challenges. All proceeds benefit the Rotary Benevolent Fund at the Adams County Community Foundation in memory of John W. "Jack" Phillips, a 46-year Rotarian and Community Foundation founder who died Aug. 18, 2018. 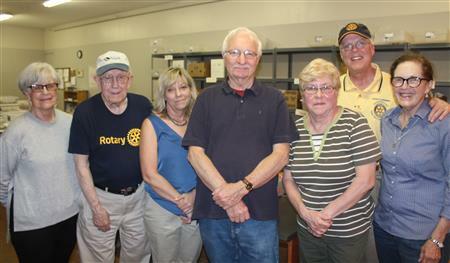 The Rotary Club of Gettysburg is sponsoring a Pedals for Progress & Sewing Peace used bike and sewing machine collection. 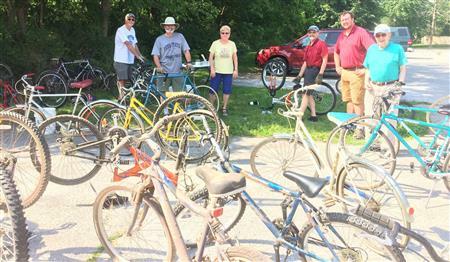 Anyone with an adult or child's bicycle in repairable condition is urged to donate his or her bike. 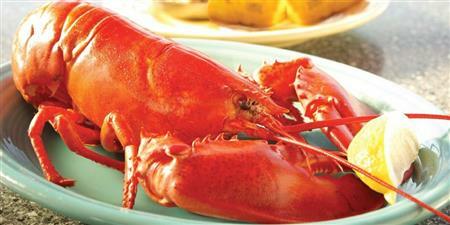 The Rotary Club of Gettysburg invites the community to the Gettysburg Fire Hall for its third annual lobster dinner. The dinner will be held Saturday, May 5 from 5 to 8 p.m. at the Gettysburg Fire Hall. 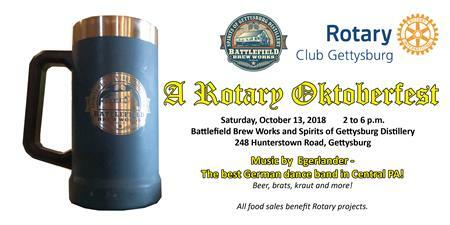 All proceeds from the dinner will benefit the Rotary Club of Gettysburg Community Fund, which supports numerous local organizations.